HMS Simoom - Bow, head and propeller details. 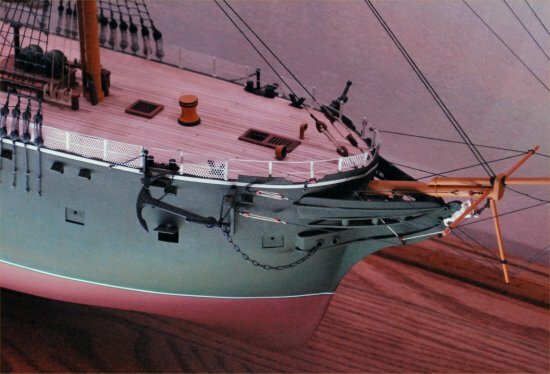 Starboard view of the bow showing the head and trailboard and Arab Warrior figurehead. 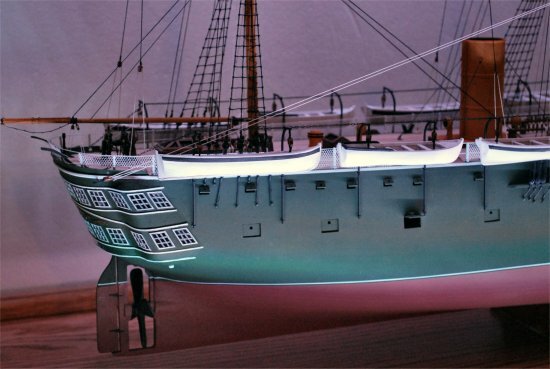 Cathead, railings, hawseholes, bowsprit and anchor chain assembly are also visible. View of the stern and mid 19th-century 4-bladed propeller, rudder and double sternpost assembly. The top section of the propeller blades actually cut through the water surface as was common for similar ships of that period. It couldn't have been much of a smooth ride.